The elapsed time for Stamm and Le Cam, since the start from Barcelona on 31st December 2014 at midday UTC, is 84 days, 5 hours, 50 minutes and 25 seconds. The actual distance over ground sailed by them is 27950 miles, at an average speed of 13.82 knots. A year later he started this round the world race, and now, today Stamm has achieved his third victory in a round the world race, the first one non stop and two handed. The 51 year old Swiss skipper had already won the 2002/3 Around Alone solo; and again in 2006/07, under the most recent name of Velux 5 Oceans. Theirs has proven a remarkab le partnership of close equals, a pair who have delivered victory thanks to their many, many years experiences, good and bad. They had never sailed together as a duo before this race, but had both achieved notable successes, racing two handed. 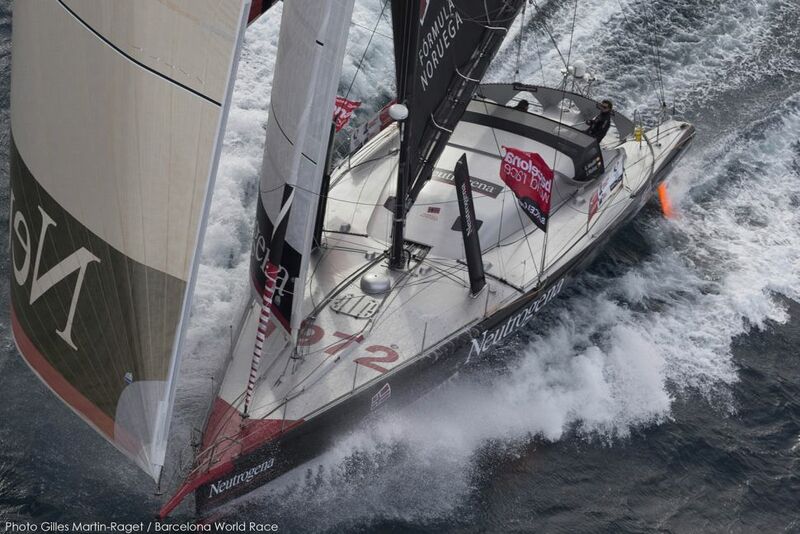 Jean Le Cam wins the 2013-2014 IMOCA Ocean Masters World Championship, Stamm is runner up. In turn, in his fifth round the world race , French legend Jean Le Cam, 55, known by some in his native France as “Le Roi Jean” (King Jean), adds his first ever outright victory in a round the world race to an extensive ocean racing record which stretches back 31 years, including second in the solo Vendée Globe in 2004-5 behind Vincent Riou. In fact, now after winning 2013’s Transat Jacques Vabre to Brazil with Riou,Jean Le Cam has won the two biggest IMOCA two-handed races back to back. 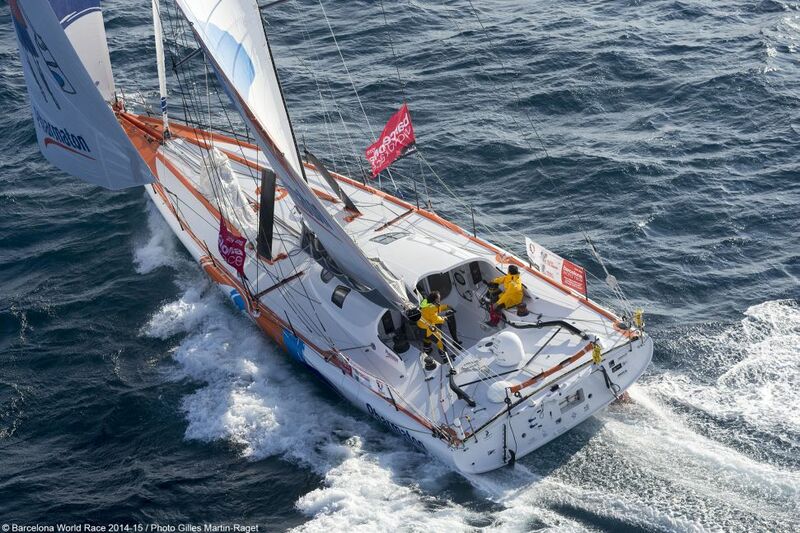 Le Cam, like Stamm, has also cheated death on the ocean, rescued by Riou from his cap sized IMOCA 60 200 miles from Cape Horn during the Vendée Globe 2008-9. He is one of the few French skippers to win La Solitaire du Figaro three times. The IMOCA 60 Cheminées Poujoulat is a monohull designed by the Farr design office, launched in 2007. With it, Michel Desjoyeaux won the Vendée Globe 2008/09, with an elapsed time of 84 days, 3 hours and 9 minutes. Stamm and Le Cam have made a very similar time including two Gibraltar Straits crossings and two Mediterranean legs. 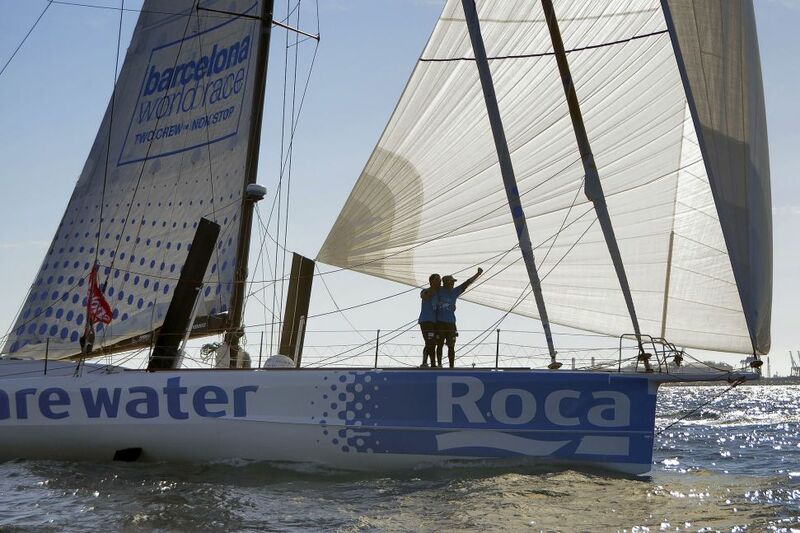 In the Barcelona World Race 2010/2011, this IMOCA 60 was second with Spain’s Íker Martínez and Xabi Fernandez as co-skippers. 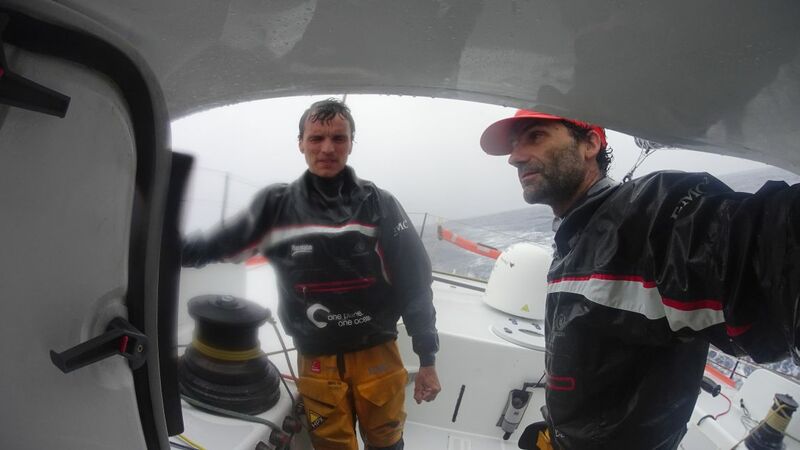 It made the start of Vendée Globe 2012/2013 with Jérémie Beyou. The boat has been modified several times to adjust to the rules evolution and improve its performance in big waves. With two victories and a second place in round the world races, this boat is established as a legend of he IMOCA class. Cheminées Poujoulat took the first place of the race on the 17th of January, when they overtook Guillermo Altadill (Spain) and José Muñoz (Chile) on Neutrogena in an intense head to head battle, approximately off Rio de Janeiro. Before Neutrogena, Alex Thomson (United Kingdom) and Pepe Ribes (Spain) had lead the race until they lost the mast on the 14th of January. Stamm and Le Cam’s rivalry with Neutrogena went on until Altadill and Muñoz had to pit stop for 24 hours in Bluff New Zealand on 12th February to repair an issue with their generator. The arrivals of provisional second and third, Neutrogena and GAES Centros Auditivos, is expected between 30th of March and 2nd of April.